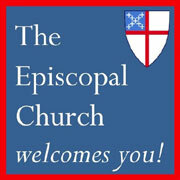 The Church of the Advent is an Episcopal parish that is striving to be the presence of Jesus Christ in Hatboro, Pennsylvania. Wherever you may be on your personal spiritual journey, we invite you to join us in our spirit-filled worship, our open exploration of the Christian faith, and our strong commitment to serving our neighborhood. We are located a mile north of I-276 in Hatboro, Pennsylvania. Just off York Road, our address is 12 Byberry Road. But, our most used entrance to the building is located on Rorer Avenue, across from the Hatboro Federal Savings Bank parking lot. The bank graciously offers their lot for our use on Sundays, for parish events and for community groups holding meetings in our building.